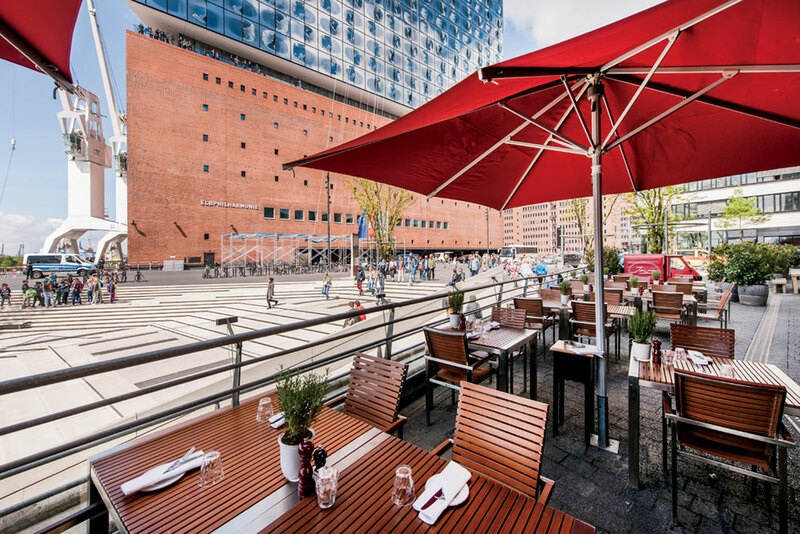 You’ve heard about Berlin and Munich, but for travelers with an appetite, all eyes are on Hamburg. From traditional street food to Michelin-starred menus and Pan-Asian eateries, here are the best restaurants to try in this surprising foodie destination. prelude to any great gastronomical experience. Head to Park Cafe Schöne Aussichten, where a lush, palm-tree-surrounded terrace comes alive with music and after-work crowds. (On Thursdays, you’ll find many sticking around until the wee hours of the morning.) 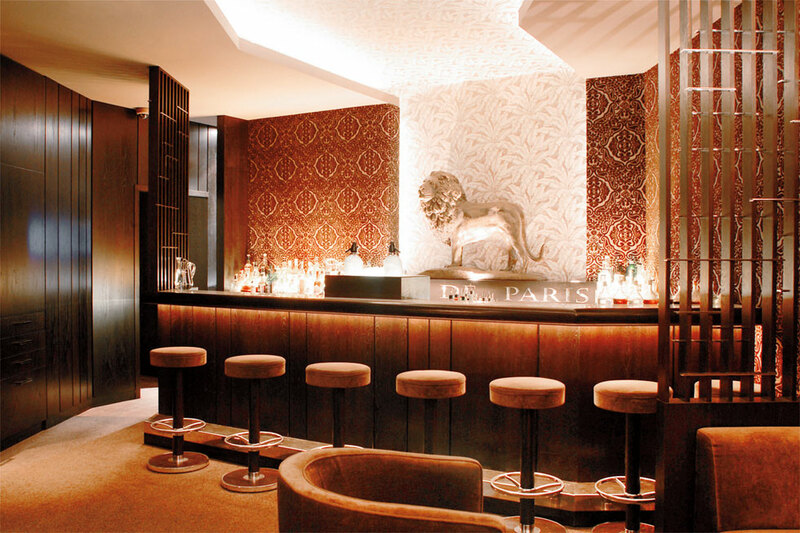 For a more intimate experience, order libations and a cheese or charcuterie plate at Le Lion, a dimly lit bar that made it onto William Reed’s World’s 50 Best Bars list. The sweetest souvenirs can be found at Mutterland. 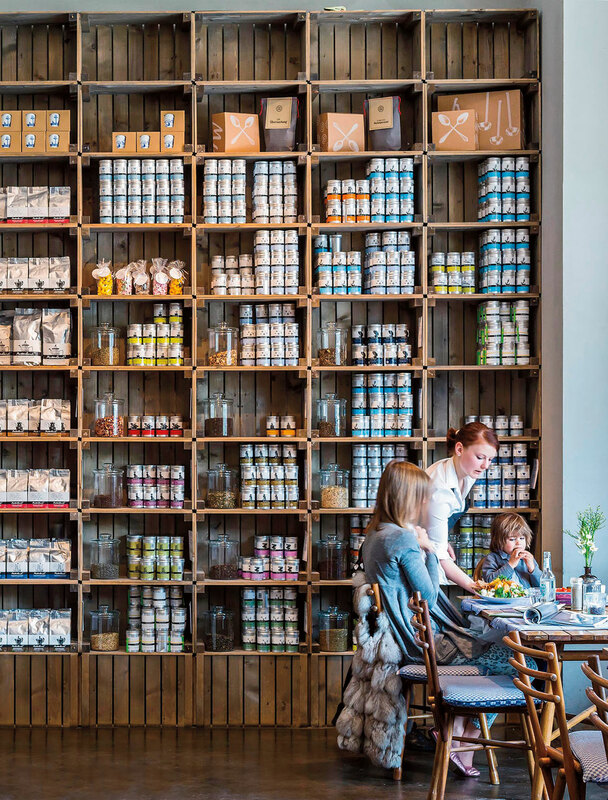 Bring back a piece of Hamburg to savor at home with a visit to Mutterland, a boutique that stocks a large range of nonperishable sweet and salty specialties from local suppliers. Pick up sea salt chocolate, mulling spices, fruit spreads and – if you’re feeling adventurous – canned labskaus (a traditional dish of corned beef, potatoes and onion enjoyed by Germany’s sailors while out at sea). When you’ve worked up an appetite, nearby options are top-notch, such as low-key sausage joint Mö-Grill, famous for its currywurst. Beyond the best of the wurst, the city offers much more than German standbys. Local Vietnamese restaurant Quan Do has some of Hamburg’s top pho, bun bo and spring rolls. The city’s new Elbphilharmonie concert hall – a breathtaking riverside venue that recently hosted Chanel’s 2018 Métiers d’Art runway show – is a central draw of the up-and-coming HafenCity harbor district. Enjoy a show at the Elbphilharmonie (where music styles range from jazz to classical to avant-garde electronic), take in prime views of the Elbe from new pedestrian-friendly outdoor spaces, and dine at Carls an der Elbphilharmonie, known for its casual German cuisine (think pan-fried cod and savory German steaks), or Coast by East, a buzzy spot for Asian-inspired fare. 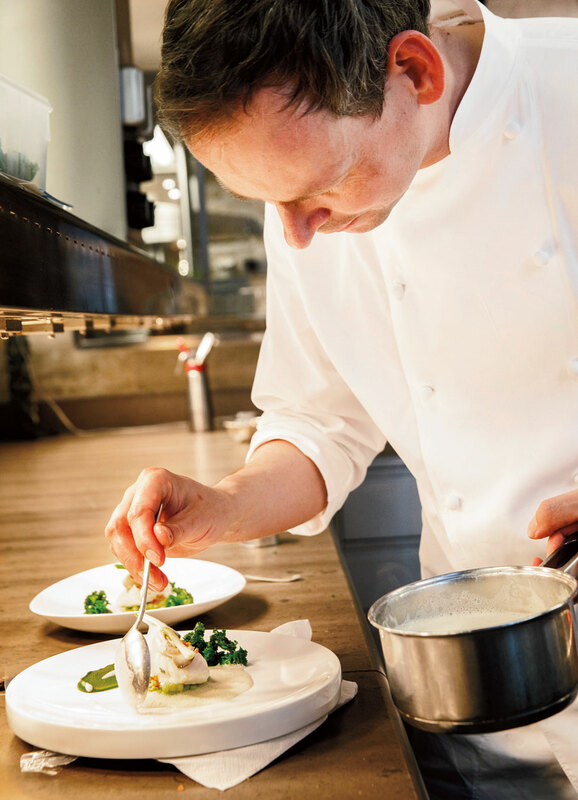 Germany is second only to France in its number of Michelin stars, with 11 of those in Hamburg. Chef Kevin Fehling’s three-star The Table is a thoroughly modern option, with dishes such as Faroe Island salmon with passionfruit served to diners on a single communal table. For a more traditional (but equally unforgettable) experience, reserve at Haerlin, the elegant two-Michelin-starred restaurant at Fairmont Hotel Vier Jahreszeiten. There, chef Christoph Rüffer creates meals that are as artful as they are flavorful, using unique yet complementary ingredients such as pine cream and beetroot tea. 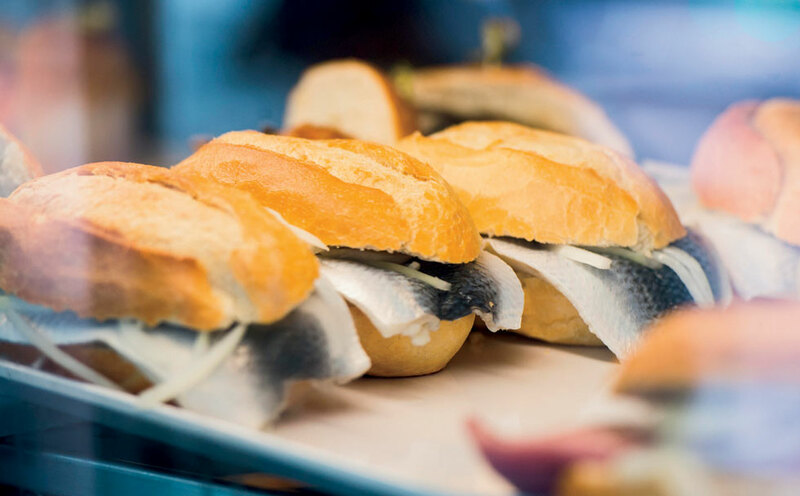 Overlooking the Elbe, Fischmarkt is a solid bet on Sunday mornings (7 to 9:30 a.m.) for coffee and fischbrötchen (fish rolls). This indoor and outdoor market is a Hamburg institution, with stalls selling fresh fish, produce, clothing and souvenirs. If early mornings aren’t in the plan, opt for all-day treats at Café Schmidt (just a short walk from Fischmarkt), or head to Saturday’s gourmet Marktzeit, which takes place in a refurbished warehouse in colder months (outdoors in the St. Pauli neighborhood in the summer) and offers craft beer and snacks, plus furniture and decor.